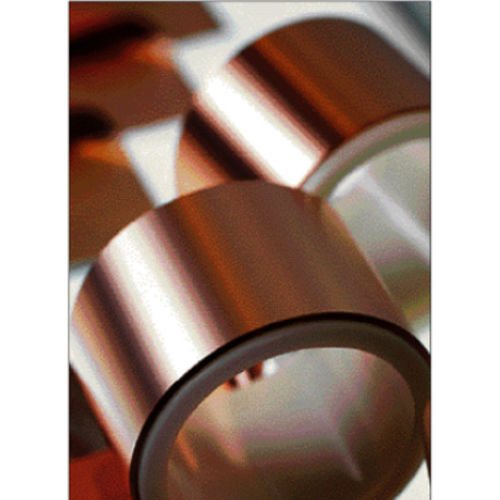 The copper foil that Alison Asia Pacific Ltd. provides is compatible with electrode. Products of copper foil are highly anti-oxidation. The performance has been refined through the anti-oxidation process and the optimized technology. 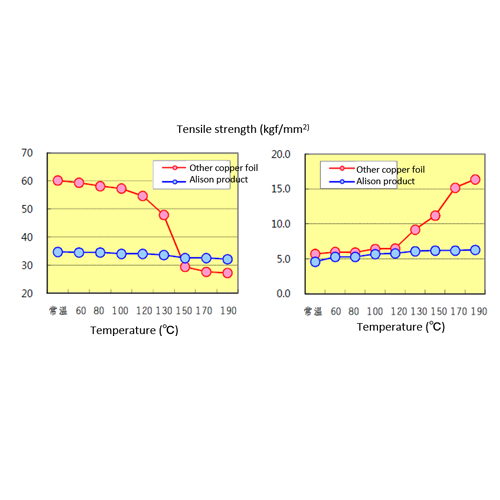 The elongation percentage of copper foil has been largely prolonged after being processed under high temperature and is strong under room temperature. 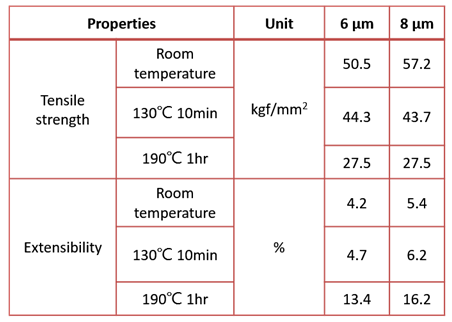 *The capacity of electrode equipment has been boosted through the ultrathin equipment. The battery capacity has been increased 2~4% with the same volume. If you are interested in our copper foil products, please feel free to contact us.